A mutual fund is a company that pools money from many investors and invests the money in securities such as stocks, bonds, and short-term debt. The combined holdings of the mutual fund are known as its portfolio. Investors buy shares in mutual funds. Is there a mutual fund product that will match my requirements? Mutual funds have various product categories — from liquid funds, in which investors can invest from as little as a day, to equity mutual funds where one can stay invested for an infinite period of time. Investors can choose to invest in products, such as liquid funds, debt funds, balanced funds, arbitrage funds, equity funds and sectoral funds, depending on their time frame, goals and risk profile. What flexibility of investments do mutual funds offer? Mutual funds are one of the most liquid products among all financial instruments. In liquid or short-term debt products, once a redemption request is placed with a fund house, money comes into your bank account in a maximum of two working days. In fact, some funds houses allow instant redemption of up to Rs 50,000 from liquid schemes. What advantages do MFs offer compared to direct equities? 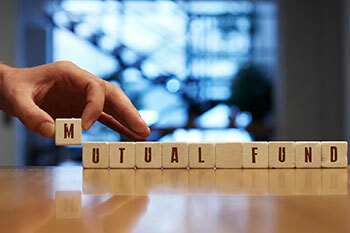 Mutual funds offer diversification. Unlike equities, where you may hold a single stock, a mutual fund has a diversified portfolio where you hold a basket of securities. Sudden changes in the price of a single stock are likely to be balanced out by the performance of other stocks in the fund, thereby minimising your risk and optimising your returns.